Estimating software companies tell you that their system will save you 40% in estimating time. We’ve taken it further with AutoBranch. 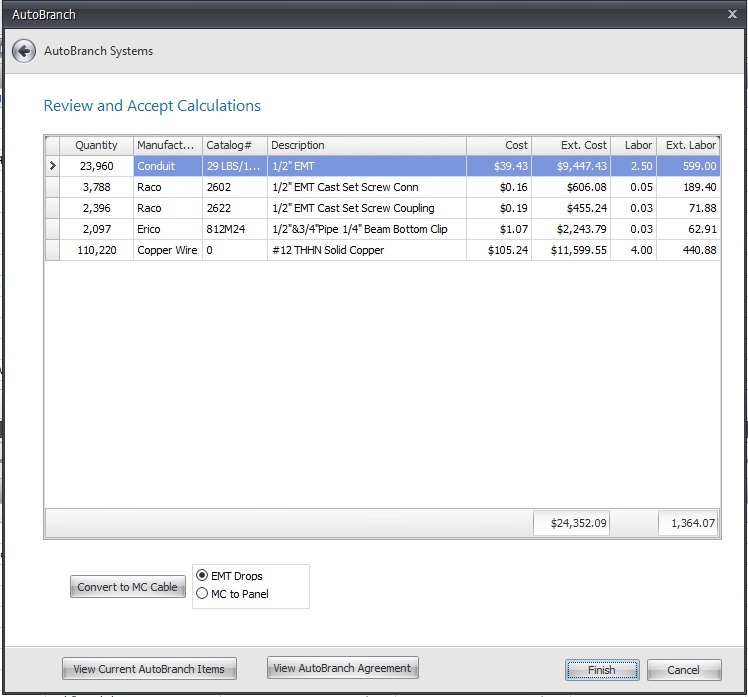 Whether it’s a $50,000 job or a $5,000,000 job, AutoBranch calculates the branch circuit conduit, wire, fittings and supports for all light fixtures, switches, convenience receptacles and line voltage occupancy sensors in seconds. And one click converts it to MC Cable. AutoBranch has been proven to double your estimating volume without having to hire additional estimators. Our materials pricing is based on actual contractor prices. Our clients across the country send us their actual price sheets they receive from suppliers. Using this easy-to-learn software, contractors can quickly find items, create estimates and print custom reports. Web-based price updates keep the 60,000-item database current, and 8,500 pre-built assemblies means less work. Furthermore, Electrical Resources prices and labor units are the most accurate in the industry - and that means more precise estimates. And to save even more time, Quantum now interfaces with QuickBooks accounting software. Developed by estimators for estimators. Drawing on the power of 32,000 estimates and 43 years of experience, the estimators at Electrical Resources developed QuantumXP Professional to quickly and accurately produce price and labor estimates for contractors around the country. Price updates, software maintenance and support are included for the first year. Material item database of 30,000 individual items and 9,000 assemblies allow you to bid work ranging from residential to heavy industrial. AutoFireAlarm calculates fire alarm conduit, fittings and support for both continuous and stubbed to ceiling raceways. 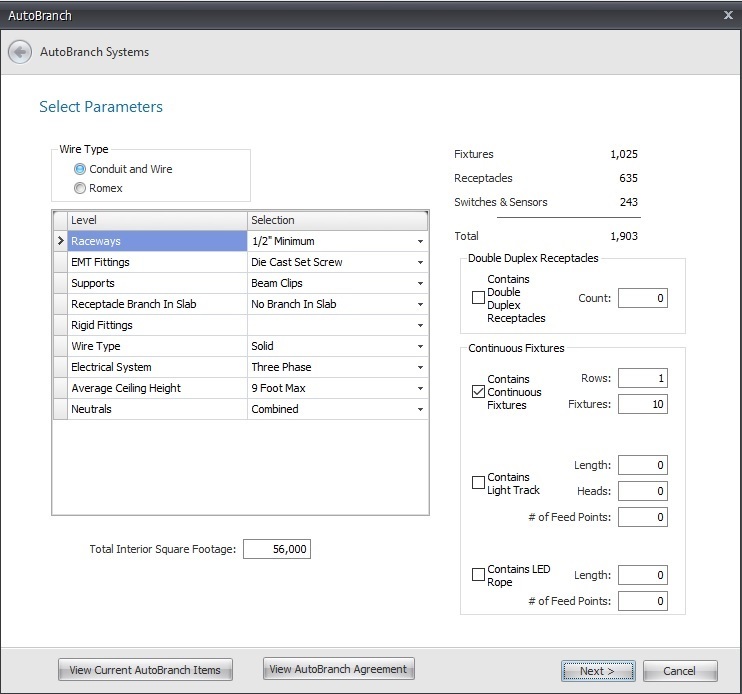 AutoDuctBank calculates conduit, concrete, excavation, rebar, counterpoise, warning tape, concrete dye and spacers. Request for Quotes sends bills of material to suppliers for pricing and automatic entry to your estimate. Purchase Orders are generated automatically to suppliers. Job Costing tracks actual costs and labor to estimated costs and labor.